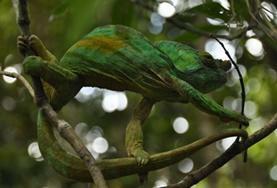 Located off the east coast of Africa, Madagascar is known for its unique and extraordinary wildlife (including lemurs and chameleons), lush rainforest and extensive coastline. 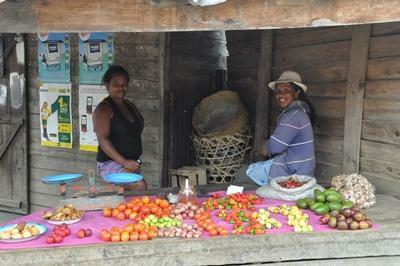 Tourism and agriculture are both major sources of growth, however, at least 69% of the diverse population live below the national poverty line. 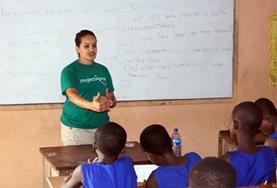 Volunteers can have a hugely positive impact by helping to improve literacy levels as teachers, caring for children and contributing to their educational development in care centres, or by preserving one of the most exceptional ecosystems in the world on our Conservation programme. 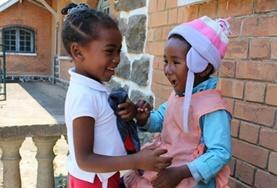 Whether you are on a gap year, career break, or looking for a meaningful experience during a holiday period, volunteering with Projects Abroad gives you the chance to live and work alongside the hospitable and friendly people of Madagascar and discover this amazing island. 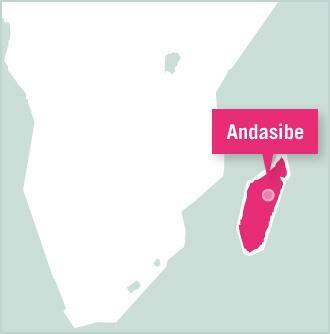 Projects Abroad is based in the town of Andasibe, which has a population of 12,000 people. 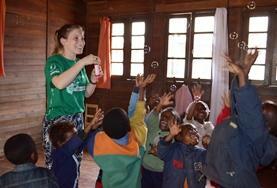 The town is located four hours east of the capital, Antananarivo, and is close to three conservation areas. 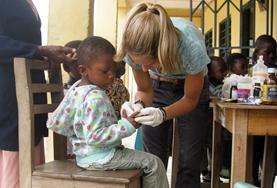 Our volunteer projects are all located in Andasibe. When you arrive in Madagascar, you will fly into Ivato airport near the country’s capital city of Antanarivo and travel to Andasibe. 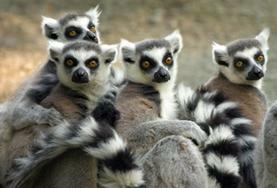 During your time in Madagascar, you will live at a guesthouse. As a volunteer living and working in Madagascar, you will have plenty of opportunity to explore the unique landscape around you, both at the weekends or after finishing your placement. 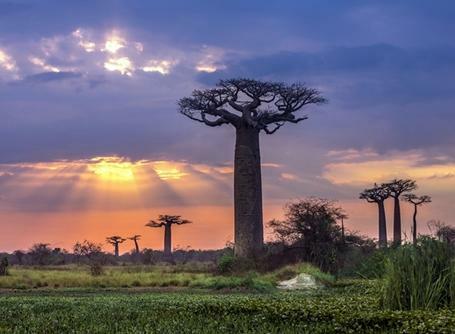 Living in Madagascar, you will be able to view thousands of plant and animal species that are found nowhere else in the world, as well as discover the island’s fascinating culture and history. If you choose to travel at the weekends you could relax on one of island’s beautiful beaches, visit Tsingy de Bemaraha (a UNESCO World Heritage Site) or learn more about Madagascar at the well-known Museum of the Gendarmerie. 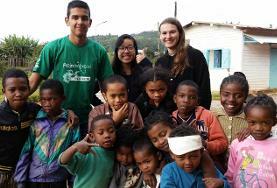 Volunteer on a Care placement in Madagascar and work with children from impoverished backgrounds. 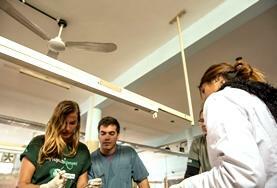 These placements are understaffed and have limited resources, so they are in need of volunteers. Increase awareness of key healthcare issues affecting the rural population, focusing on the importance of vaccinations, basic hygiene and seeking treatment when ill.
Live in Madagascar and volunteer on a Teaching placement where you can help support, improve literacy levels and give children the skills and education they need to build a sustainable future. 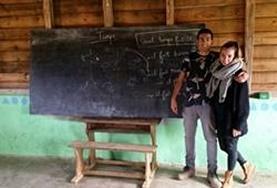 Take part in an intensive standalone Malagasy language course or sign up for language tuition alongside your regular placement. Take part in hands-on environmental activities at a local national park as well as community work which will benefit the local people. Work in a busy regional hospital in the town of Moramanga, helping to treat patients and getting involved in a range of other tasks such as presenting lectures and taking part in public health campaigns.